Amazon to Give Free Kindle to Amazon Prime Subscribers? 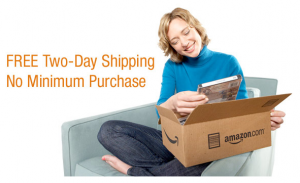 Are you a frequent Amazon products buyer? Do you do all of your online shopping via Amazon? If you do, you must be an Amazon Prime subscriber already. Well, guess what? Amazon is reportedly planning to give out free Amazon Kindles to their loyal Amazon Prime Subscribers. Last time I checked, I’m an Amazon Prime subscriber, so Amazon please push through with your plans. I would love to get that free Kindle. In case you’re not aware, Amazon Prime is a premium subscription product that entitles members to a free two days shipping on any of their purchases at Amazon. Members are charged an annual fee of $79/year to maintain this privilege. They are also considered as Amazon’s best customers who makes multiple purchases every month. Amazon’s plan of giving out free Kindles was first reported by TechCrunch. According to Arrington, what’s keeping Amazon from pushing this play as of now is that the Amazon folks are still figuring out how to do it without losing too much money. Amazon of course is in dire need of getting the Kindle into the hands of as many people as they can, especially with various threats coming from its rivals, and upcoming rivals such as the iPad. And giving it out for free to those who will potentially purchase e-books from the Kindle store could be a pretty good strategy. So, there. If you’re an Amazon Prime subscriber, hope that this plan pushes through. FYI I tried to RT this. Error message, the link to the story is incorrect. Thanks for this info. I too will take one.